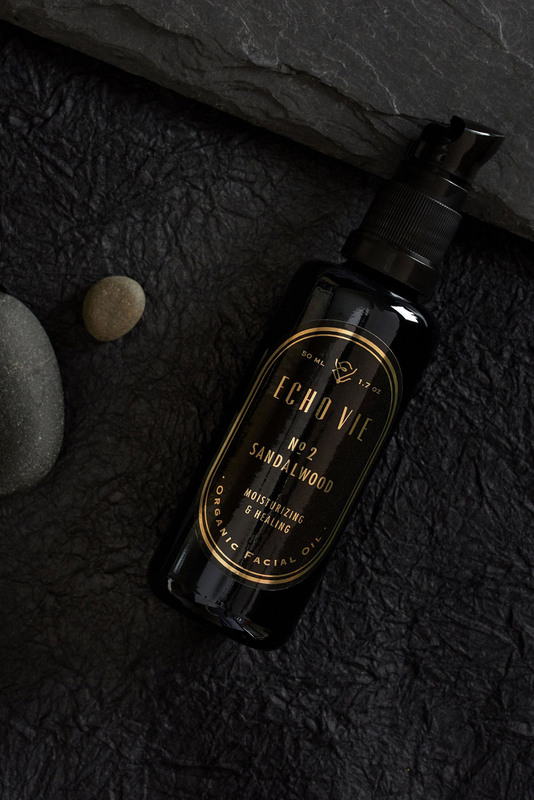 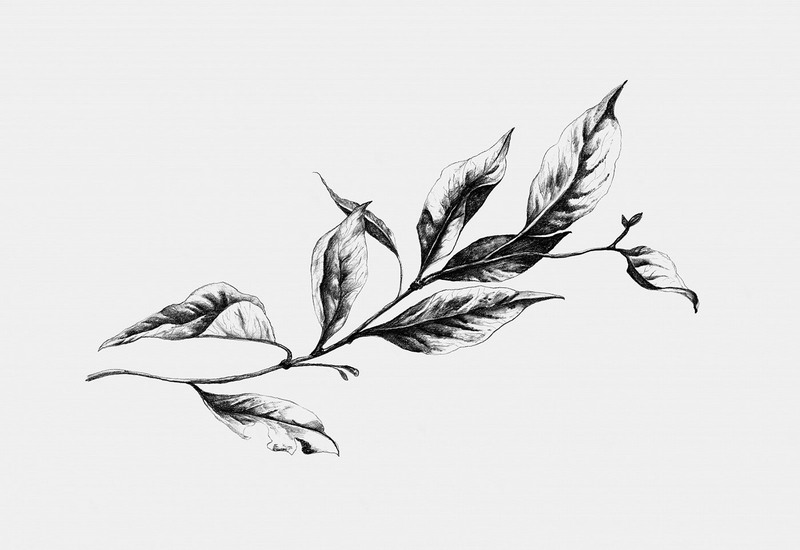 Echo Vie is a natural, nontoxic skincare brand created by makeup artist, Susie Lee, a three-time cancer survivor. 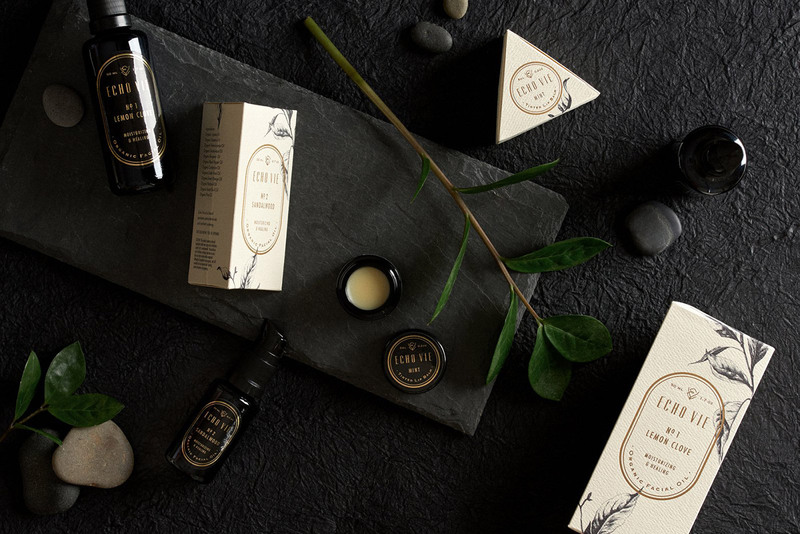 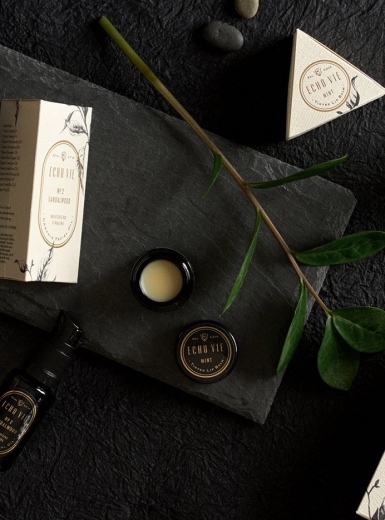 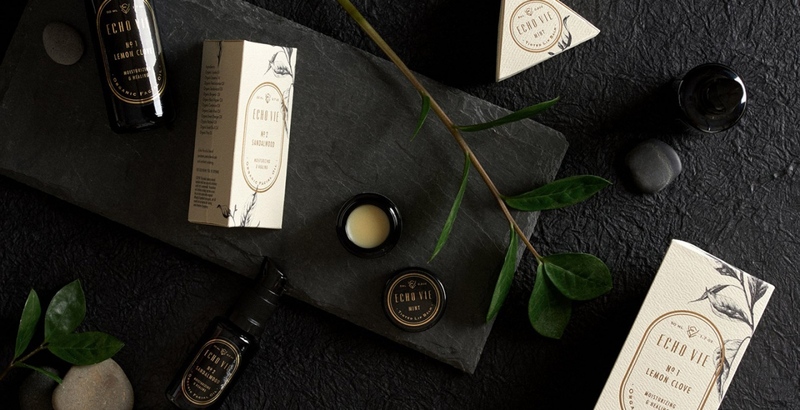 Her difficult experiences inspired her to become more conscious of what she was putting in and on her body, which led her to creating these products. 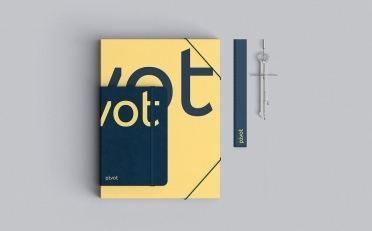 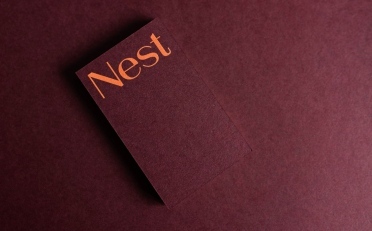 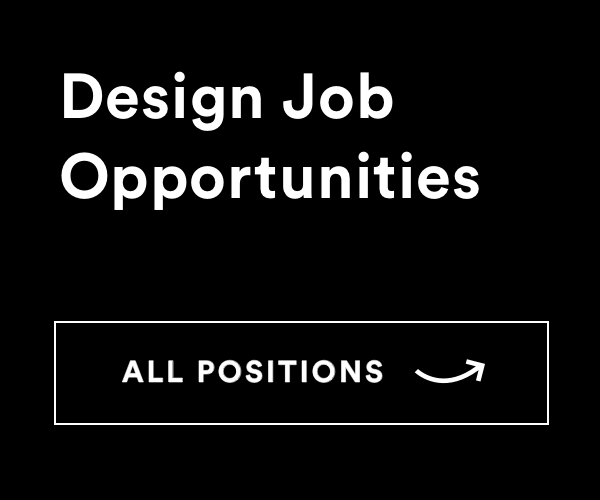 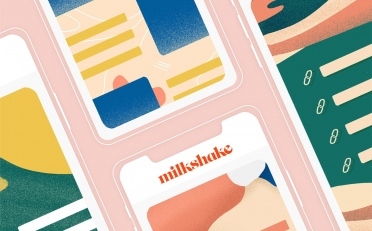 Knoed Creative, a Chicago-based studio run by Kim Knoll and Kyle Eertmoed, worked with Susie to rebrand the entire company and help her establish a brand strategy. 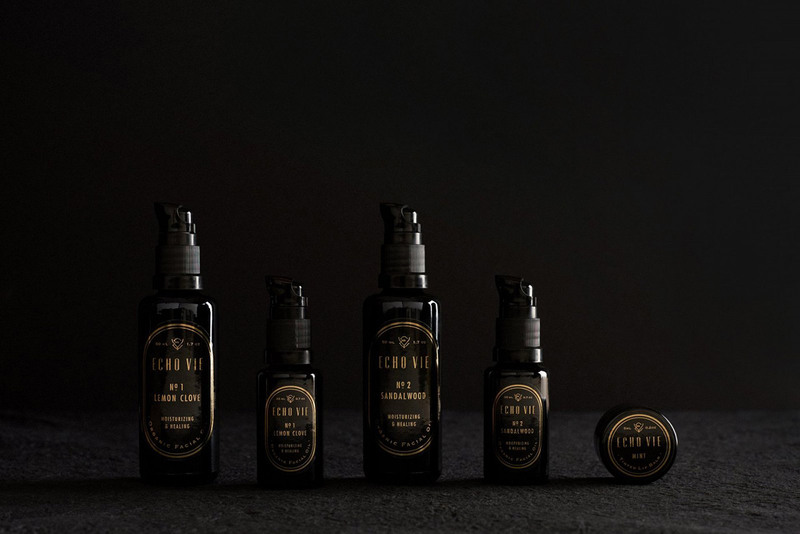 Knoed created a product naming system and completely redesigned the visual identity, logo, icon, packaging, labels, business cards, notecards and sales sheet. 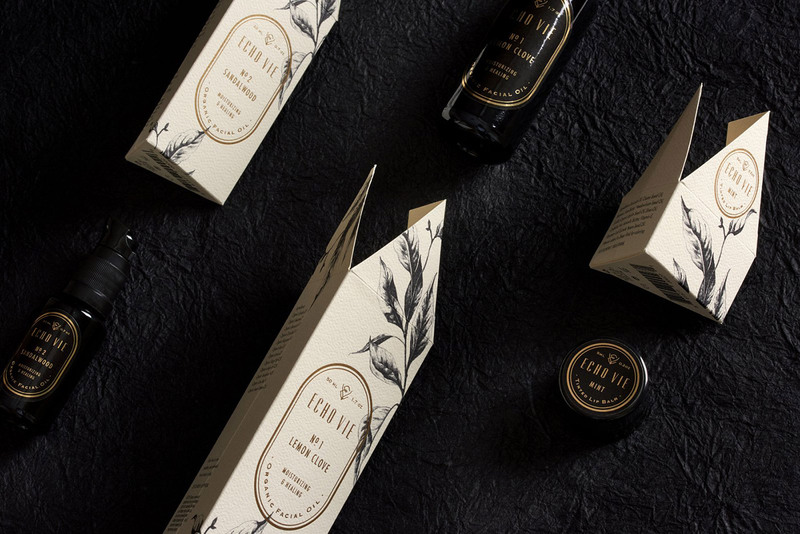 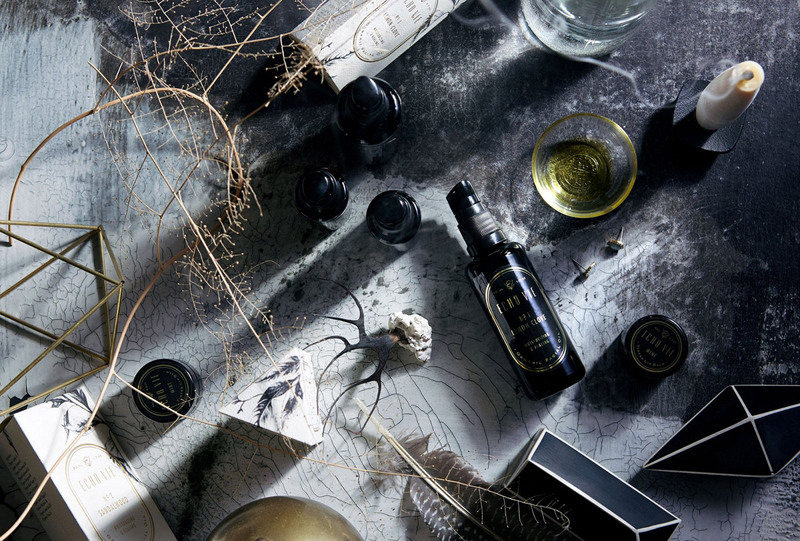 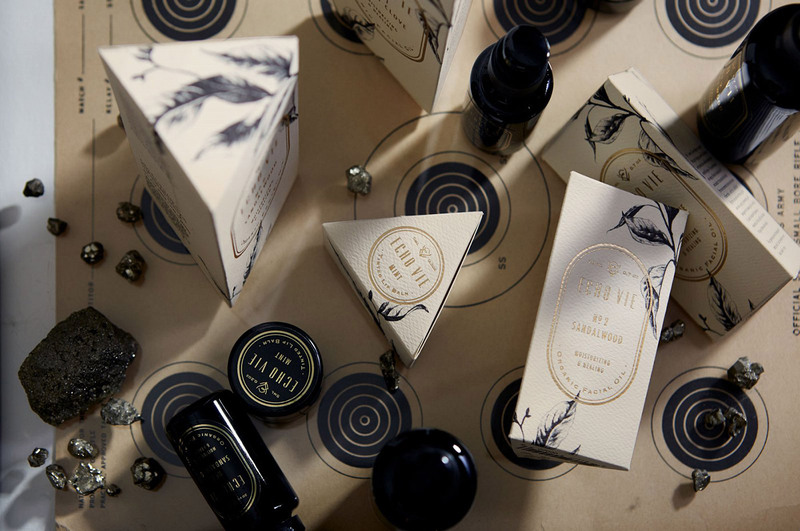 The concept was to elevate her brand to feel more premium, artisanal, warm, sensory and unique. 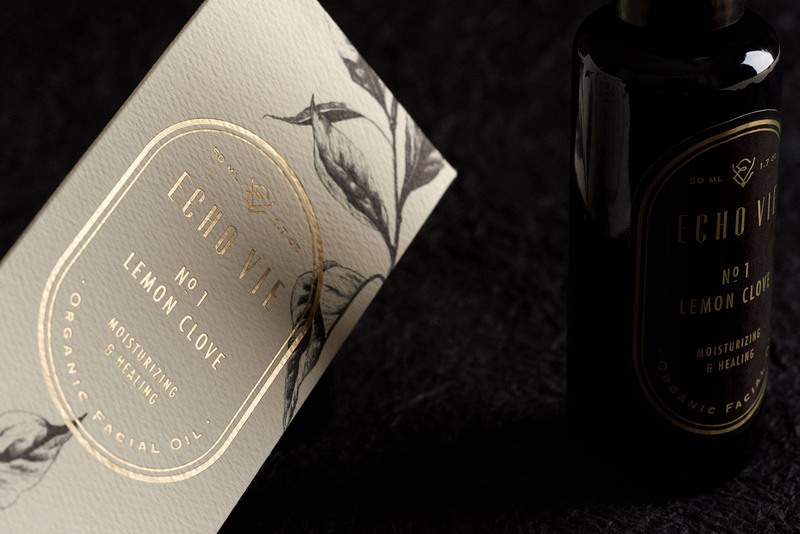 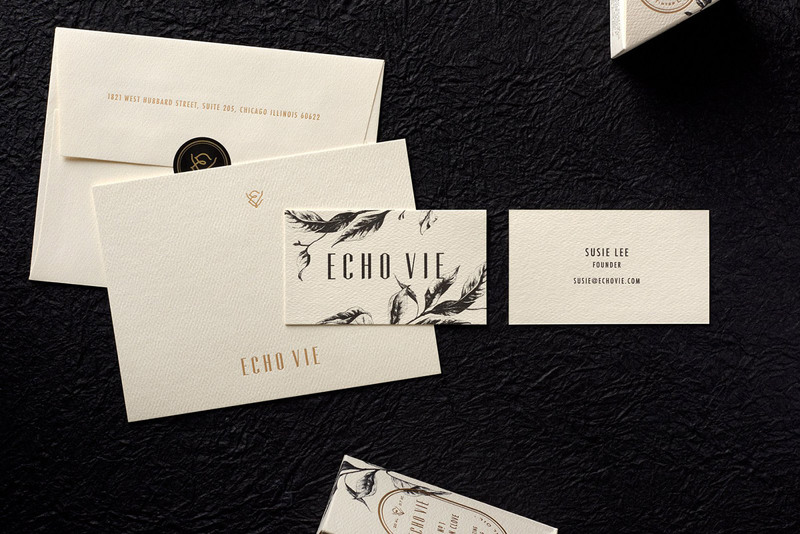 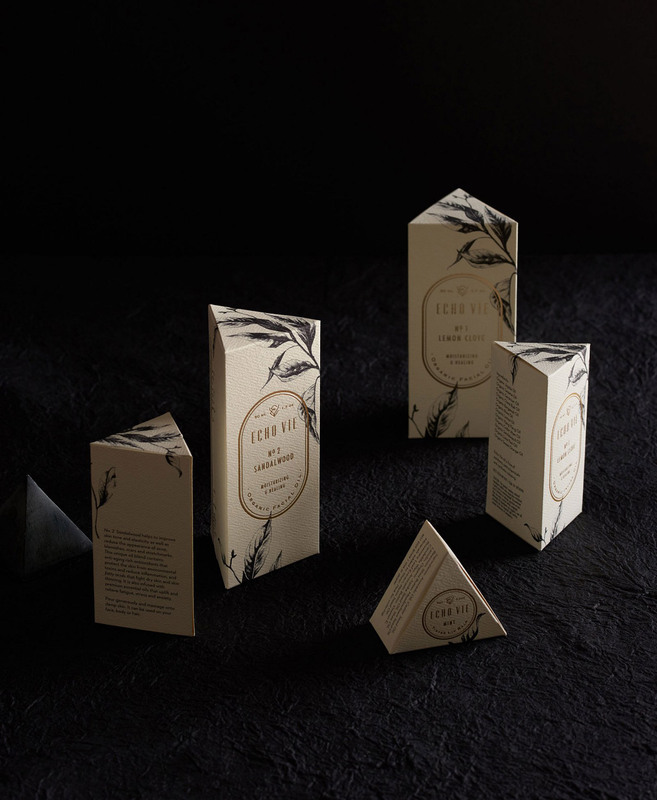 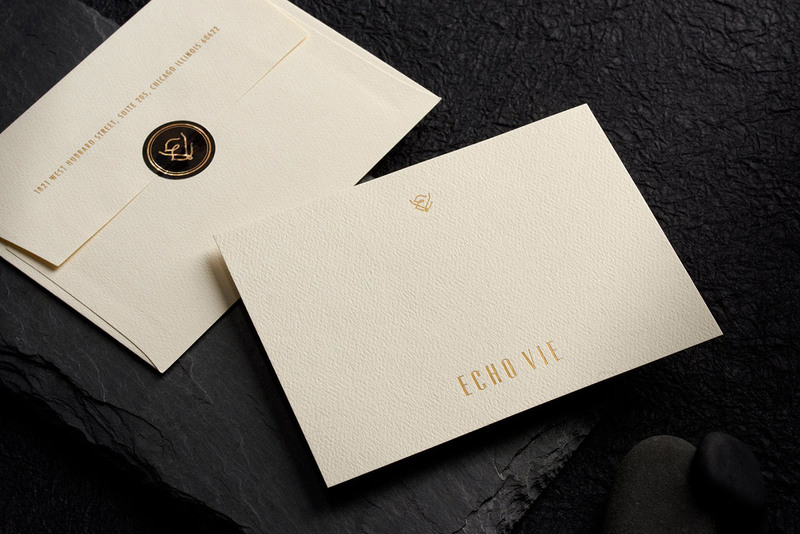 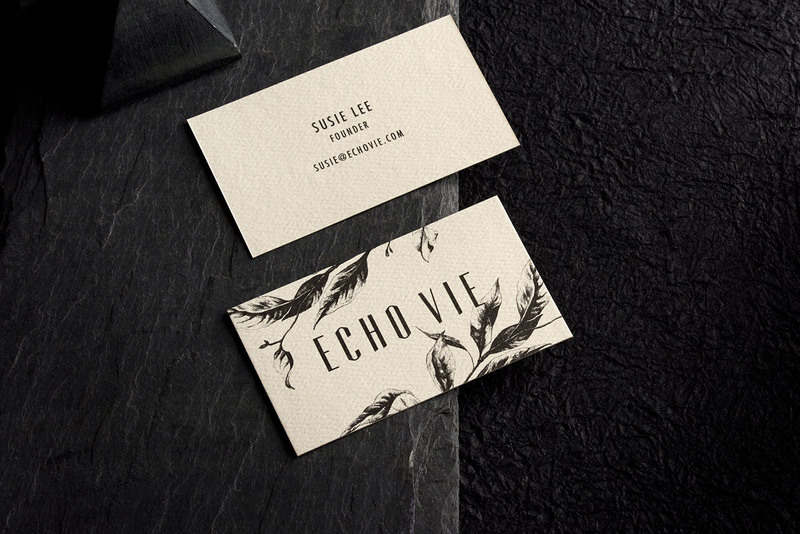 The textured paper, hand-drawn illustration, triangular boxes and gold foil makes Echo Vie stand out.